There is no life without love and marriage stamped our love for each other for a life time. 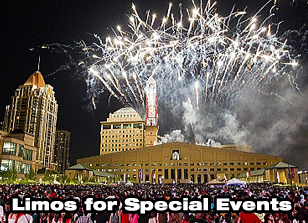 Mississauga Wedding Limo assists and guides us in celebrating our love in terms of planning and arranging a remarkable and unforgettable wedding party. Certainly, you will be very lucky to have an exceptionally specialized transport service for your guidance and support in the form of Mississauga Wedding Limo. Form event planning to the decoration of your wedding limo car, stretch bus or fleet, pick and drop of your wedding guests, their airport transfer, transportation of future husband and wife and their invitees and the special red carpet reception for bride and groom, everything is taken care by very talented, experienced and professional hands who know the matter from inside out. They will help and guide you all on each and every step meticulously. At Mississauga Wedding Limo, you will be glad to see all your guests happily chatting, laughing, singing, dancing, drinking and having a great time all the way through until you reach your wedding destination. On the way, they will be served with bottled water, chilled beverages, and Champagne with utmost respect by our brilliant staff of Wedding Limo in Mississauga. Alongside, you will be provided a special place to bring your wedding cake safely and with care in our roomy wedding limo at Mississauga. Our services are not limited to this point. Rather, after your reception we stay till your ‘Just Married Sign’. Once you are properly Man & Wife, Mississauga wedding limo will take you home, your hotel, airport or your honeymoon venue with the same protocol and elegance. 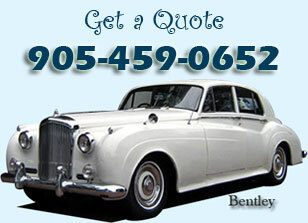 Thus, our wedding services at Mississauga are available even in late night hours. Now, choice is yours. Wish you a blessed wedding and a happy married life ahead from Mississauga Wedding limo!